The guiding force at Studio City Tattoo & founder of Order of Leviathan, He is a man with a song dedicated to his might. Here be to you Tal, Captain of Issue #1 of Mutiny Magazine. 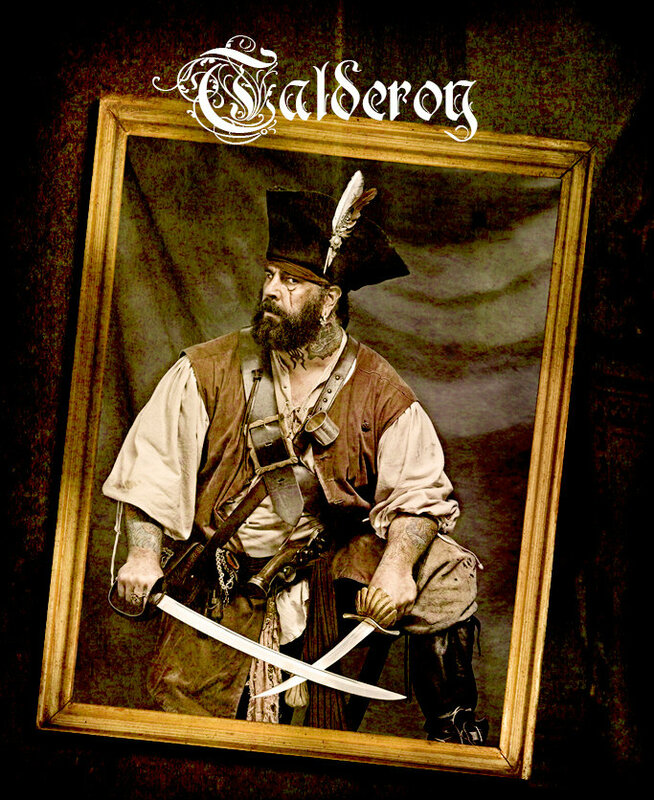 Talderoy is Bosun of Mutiny Magazine & his shop Studio City Tattoo is the main sponsor while backing the Publication for many issues. 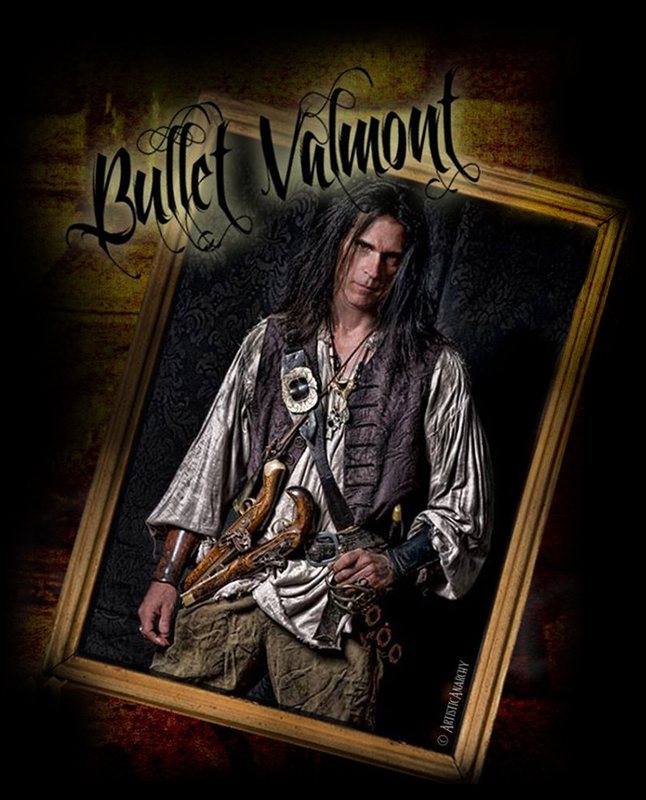 Bullet Valmont has been Associate Editor of Mutiny Magazine since Issue #1. His columns include Wench Whisperer, The Newgate Gentleman's Club, and Pirate Envy. He is the founder of Revenge From The Sea and impressario of their popular Sea of Darkness tall ship cruise. 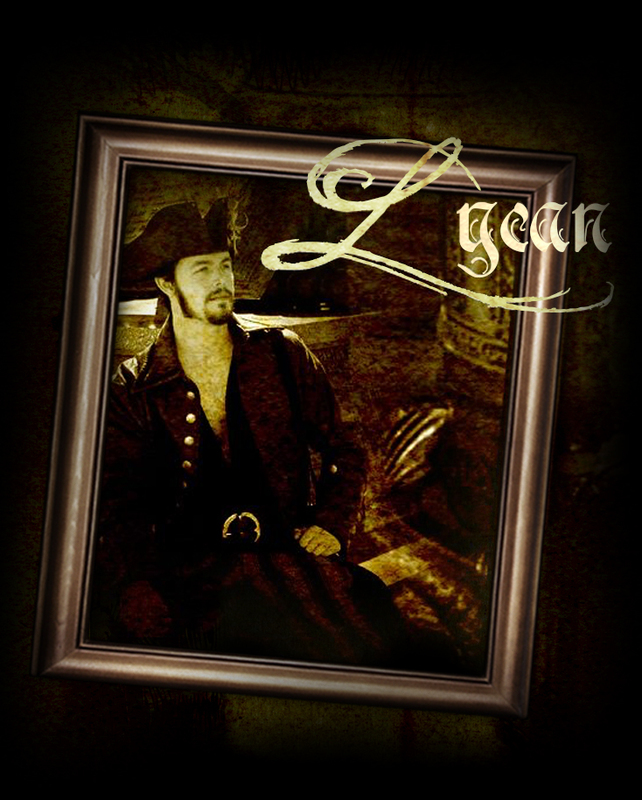 He has been a script-writer, choreographer and performer for several pirate crews since 1993. Before Mutiny, he acted in films and television and wrote for Pirates Magazine. Bullet's acting credits can be seen in Films/TV such as The Mask, Buffy the Vampire Slayer & X-Files. His work in the mag includes "Wench Whisperer" & "The Newgate Gentlemen's Club", to name a few. He be Captain of Issue #3 of Mutiny Magazine. Photo by: Graces Artistic AnarchyHis current projects are the performance troupe Imagine Pirates, and a book version of Wench Whisperer. Aka Grace Morgan. She be Editor at Large / Roving Photographer at Mutiny Magazine. Captain Steele be a lass of many trades, writer, artist, crafts woman and most important, master Entrepreneur. Find some of her talented modeling and photography work on Facebook..Steele has Captained Mutiny and kept it alive for the past four years, by collecting articles and photos to fill her pages, as well as shooting events and collaborating on covers. Steele be captain of issue #10.